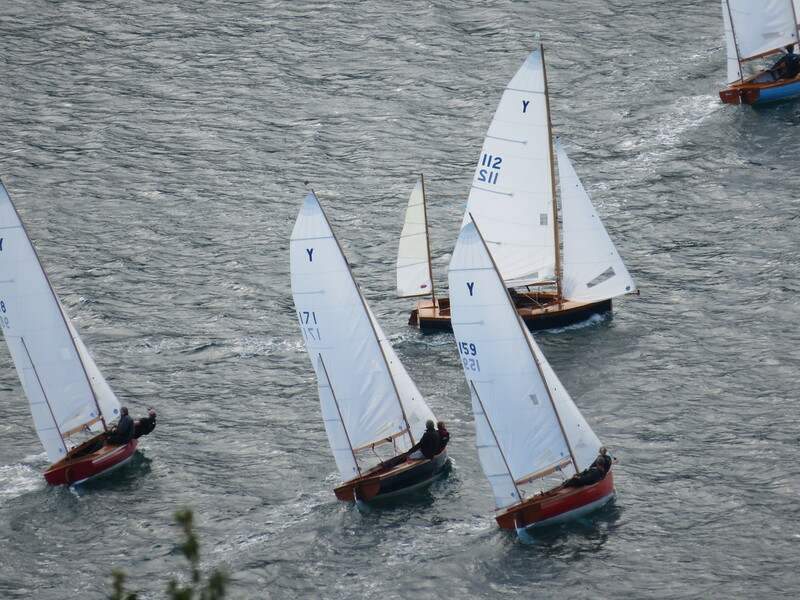 The weekend saw Salcombe Yacht Club host a triple header Open Meeting for Solos, single handed stalwart of the estuary, the Aero fleet, another single hander but a good degree sportier and the venerable clinker built Salcombe Yawls. For once the winds obliged and we were blessed with a decent South Westerly. It was sunny. Club racing in Salcombe generally attracts a fleet of up to twenty Solos so it was odd that only a few locals chose to expose themselves to the white heat of the Autumn Open. The Solos were racing for the Tyler Trophy which has been around since 1963 - it was well worth doing. We were grateful to the likes of Paul Playle and other visitors who joined a select few on the start line. Some of those who lined up even had their own knees and 20/20 eyesight. Race one and Graham Cranford Smith made a reasonable fist of the start, arriving at Blackstone with a handy lead which he retained from flag to flag. Race two was more interesting with the top four battling it out for much of the course. David Greening looked to have the race sewn up, having overtaken Billy Jago past the Portlemouth ferry steps on the run from third. All that remained was the short beat to the finish with the last of the ebb tide. What could possibly go wrong? Behind, the leading duo were by trailed by Playle and more so, Cranford Smith who was surely out of contention. Fancying the right at the start of the beat, Greening beetled off on a long port tack. Seemed fair, but when the quorum reconvened at the Ferry, things were looking far from comfy. In short, by then, the race could go one of four ways, so finely balanced it was. At the bell, Jago narrowly won out from Playle and Cranford Smith who, in his quest for victory, trashed his centreboard on the lee shore under the watch house effectively running out of road. Meantime, Greening: fourth. A race where one has recovered and then lost again, is probably the toughest to process mentally. At the lack of justice meted out to him, Greening might have been forgiven for uttering a series of expletives; or understandably plunged his fist through a side deck. Instead to us all, because he is such a sporting cove, and with only a trace of rancour: "Well done, everybody". In race three Cranford Smith led at Blackstone but on the run down to Yalton had to endure the entire fleet schooling him on how to sail a Solo downwind in hardly any breeze. Pond sailors Playle and Tom Campbell particularly revelled. At the bell, Playle retained his lead but Tom Campbell found the stronger breeze in the harbour less to his liking. He was picked off on the line by Cranford Smith who came from all the way back to claim second. Nick Jackson: fourth. Race 4 was more like it. This was a proper, gritty wind against tide, windward leeward in the harbour. Cunningham ON. Nice. The race comprised a decent four-way arm wrestle between Jago, Jackson, Playle and Cranford Smith. Adrian Griffin in the mix also. In the end, Cranford Smith edged the race and thus the meeting with Jago second and Playle third. 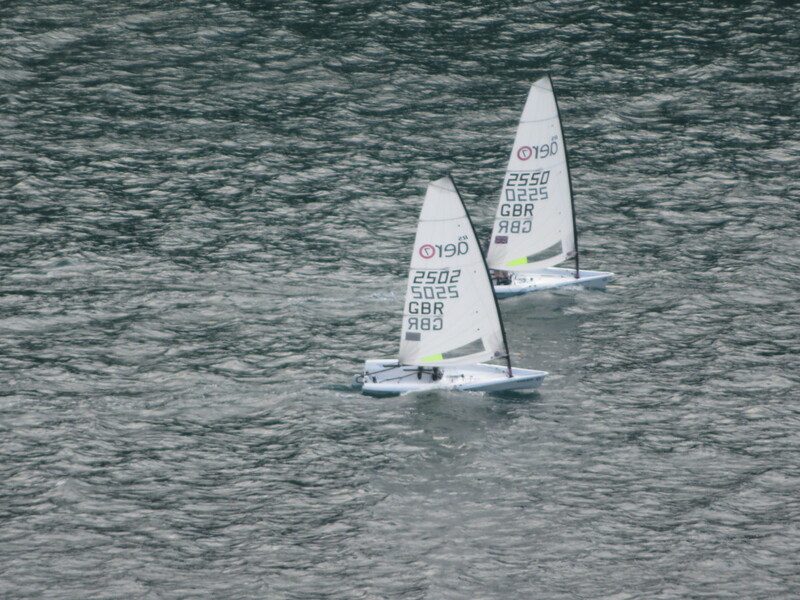 The RS Aero class made its first visit to the club to support the growing local fleet. Competition was going to be tough with 2 of the top 10 from the recent Aero 9 World Championships making the trip. A decision was made to unify the fleet with everyone sailing with 7 rigs giving the fatter boys a bit of a challenge on the lighter Saturday but looking forward to the breezier Sunday. As often happens talent was the most important factor and it was Peter Barton who dominated the weekend with three wins out of the four races, though having a good battle with Greg Bartlett in each of them. The only race when the front runners were different was the first when everyone was learning the quirks of the estuary. Local sailor Tim Fells spent most of the race showing the visitors where to go, only to the passed at the end by Nigel Rolfe who took the win from Peter Barton. Overall it was a thoroughly enjoyable first visit for the class and hopes are high to return in greater numbers in 2019. The Yawls, as usual, raced in two fleets – Modern and Classic. 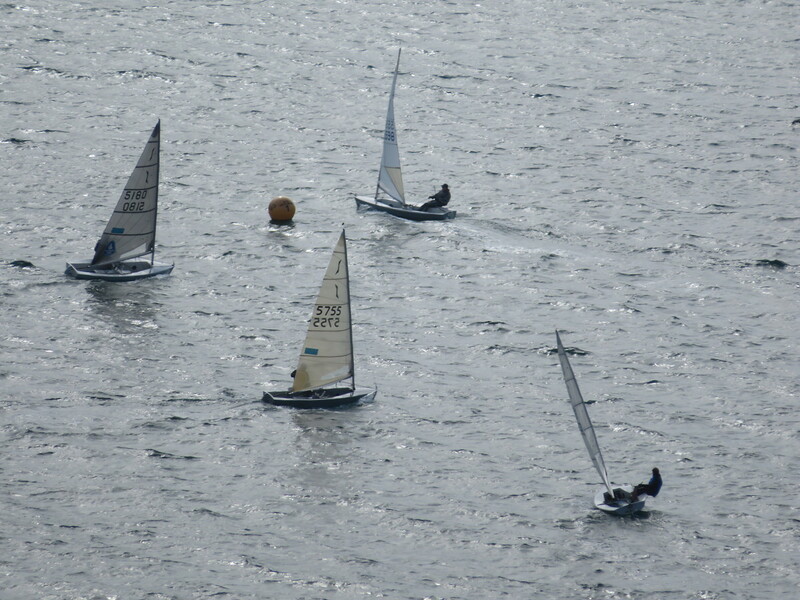 In the Modern fleet the first race went to Mike Webster and Peter Brewer with Simon Gibbens and Andrew Reed in second place, Alistair Morley and Charles Thompson in third. In race two it was Morley and Thompson who prevailed with Gibbens and Reed in second and Webster third. Going into the final race the title could have gone to any of these three. Gibbens and Reed lead off the start line and looked to have the race sewn up but late on the second beat Morley and Thompson caught the leaders and sailed on to a narrow victory which gave the title as well. In the Classic fleet Freddie and John Smithers took the first race but Hywel Bowen Perkins and Jayne Morris bounced back with a victory in the second. A tight battle between these two ensued in the third and final race which was only resolved at the final mark when the father and son Smithers pairing edged ahead and held on for the win. An excellent weekend’s racing was rounded off back at the Club with beer and pasties courtesy of sponsors Salcombe Brewery.